There are pedal cases and ‘pedal cases’, made of plastic, abs, wood etc. 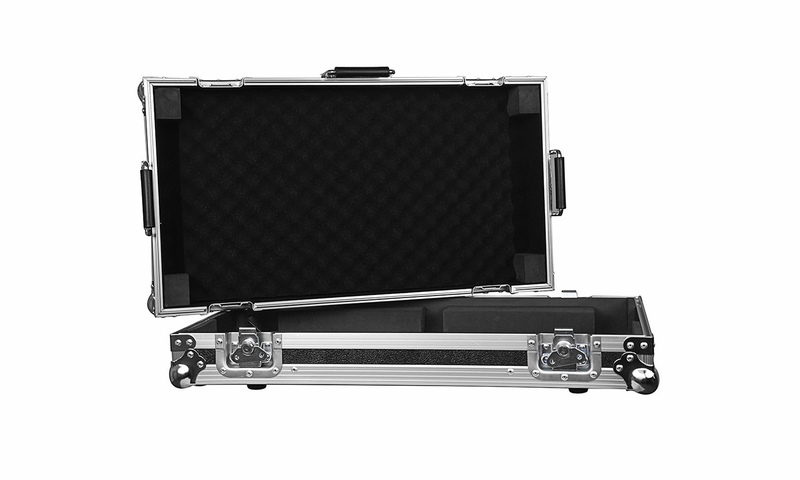 Our new addition to the Prodjuser range is the Pedal case XL and not just a simple case. No, it’s sort of ‘best-of-both-worlds’: it’s a split design type case. 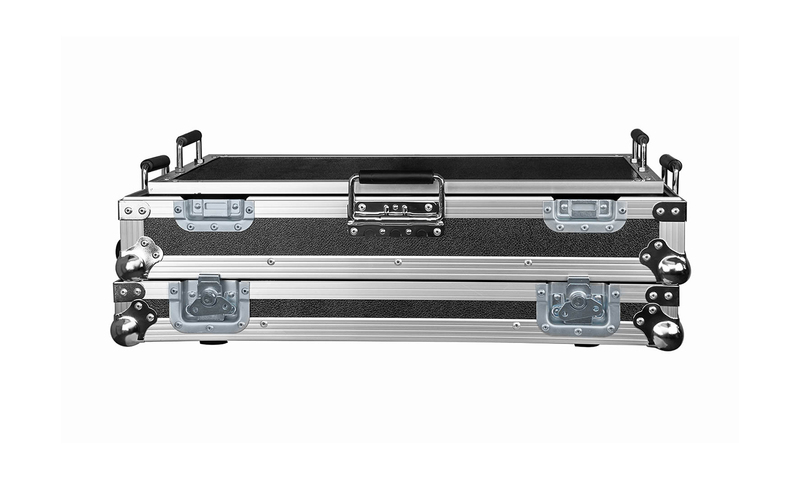 Meaning that you have a very decent size pedal board (330x650mm) that can be taken out of the case itself and be put on the floor. The size of the Pedal case XL board is big enough for a wide variety of pedals, including your Fuel Tank, Volume- and Wah-Wah pedal and of course still room for lots of other smaller pedals. Pedals can be fixed by using the included 3M Dual Lock velcro. Underneath the pedal board there are 6!!! rubber feet – the ones mounted on the rear (3) are slightly higher then those on front – gives you a reasonable angle for you foot and stable surface. Changing the angle is simple by using higher rubber feet (not included). If you need to get the pedal board higher, simply use the bottom part (also equipped with 4 rubber feet). 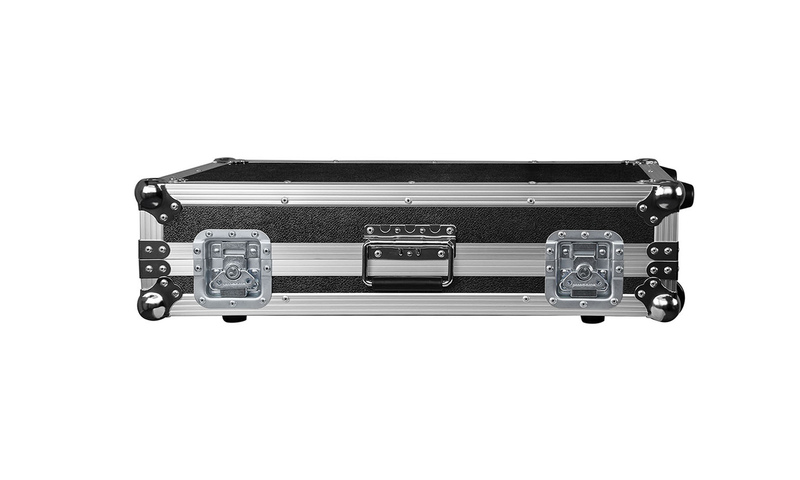 The flight case gives you plenty of cable (or other items) storage and is equipped with 2 handles, professional Penn wheels, 3 spring-loaded carry handles (on each side and as a carry handle) and butterfly locks.The lit also offers a good portion of foam protection and is higher then usual – in case you have a few pedals the size of brick. 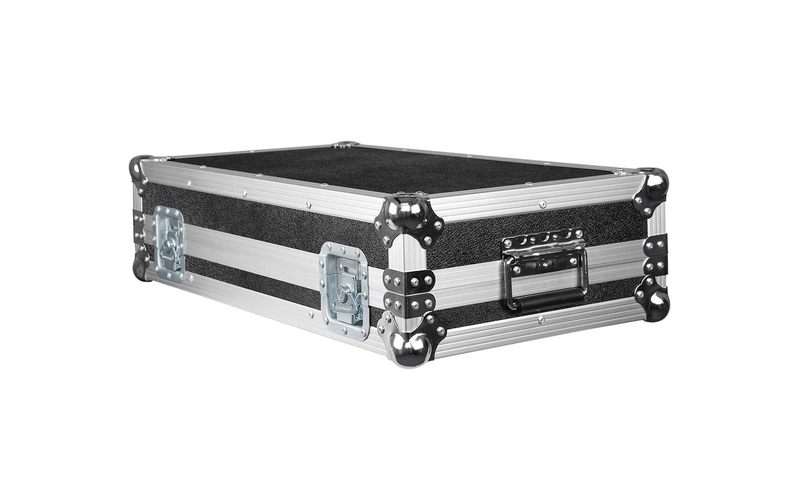 All in all a very safe, flexible and road-worthy pedal case. We tried to keep the weight reasonable, the entire case is just over 6Kg – and that’s not heavy for a professional case of this size. Storage space for cables etc. Pedal board sizes: 650mmx330mm, alu edge is approx 22mm. Lifting handles mounted into the alu rim.